The Duo takes you through the terrors and scares that await you at Knott’s Scary Farm, the longest running Halloween event around! One of our favorite haunts ever, it’s easy to gush about this event. But, not only is it just The Duo, we brought Ted Dougherty on the show. 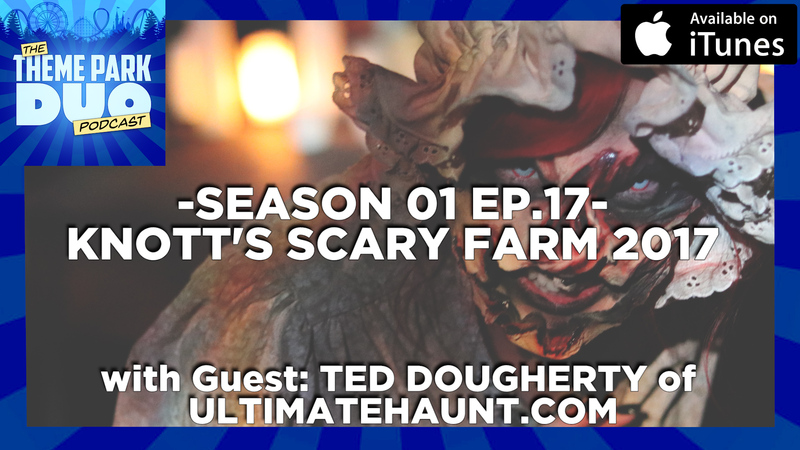 Author of A Picture History Knott’s Scary Farm Halloween Haunt and owner of Ultimatehaunt.com, Ted is the perfect person to chat Knott’s Scary Farm! Here you will find maze and scare zone reviews as well as just the over all value of this incredible event! This episode is filled with scares, frights, fun, sliders, monsters and just about everything that goes bump in the night and the FOG!